Scholarship awards are provided each academic year. Awards are distributed based on their available funding and if qualified students applied via the WSU General Scholarship Application. Please review the Murrow College Scholarship Guidelines and award descriptions for additional information. 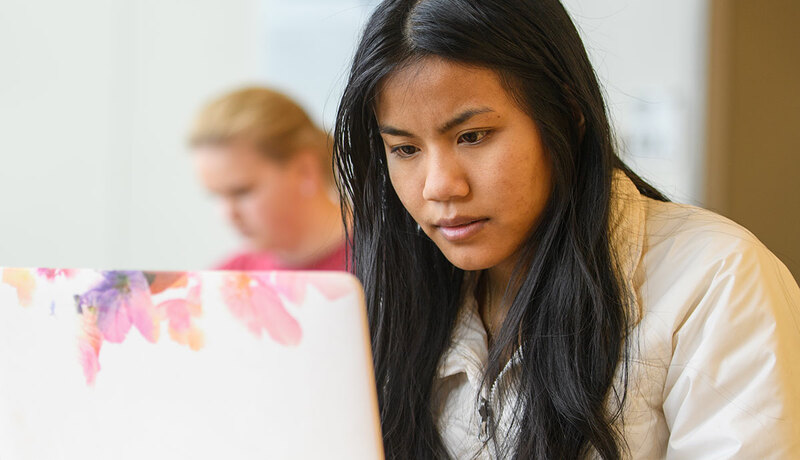 If you are pursuing a communication degree—either as a certified major/minor or advancing toward certification—you are eligible for Murrow College Scholarships and Awards. The selection process is highly competitive. Students must maintain a minimum cumulative WSU GPA of 2.7 through the end of the application year (i.e., if the application deadline is January 31, 2019, eligible students must maintain a minimum 2.7 cumulative GPA through the end of the spring 2019 semester). The WSU General Scholarship Application opens the fall prior to the award year (i.e., for fall 2020/spring 2021 awards, the application will open fall of 2019). Applications must be submitted by the January 31st deadline. Students who have been awarded renewable scholarships must reapply annually and confirm they have met the minimum requirement(s) in order to continue to receive their scholarship(s). Scholarships and internships come with the responsibility to communicate with, and hopefully meet with your benefactor or a funding representative. Thank you notes are required. You may be asked to provide testimonials or other communication during your funded year. Scholarships awards will not be dispersed until for following academic year (i.e., the January 31, 2019, application deadline is for fall 2019 and spring 2020 awards). Scholarship awards will be split equally over the fall and spring semesters, and students must be at full-time enrollment to receive their award(s). Many of our scholarship donors are Murrow grads and they are keen to learn how their investment in your career is bearing fruit. You will find that these people are often fabulous resources for your student and professional life. Students from the Murrow College have the opportunity to participate in a number of interdisciplinary scholarship programs, which involve collaborating with students from other colleges at WSU. Students from the Murrow College have the opportunity to participate funded internships, which provide essential hands-on experience in a professional setting. Internship awards are provided each academic year. Awards are distributed based on their available funding, if enough qualified student(s) applied, and if selected student(s) completed an eligible internship. Please review the Murrow College Scholarship Guidelines and award descriptions for additional information. Murrow College has plenty of internship opportunities for qualified students. Murrow students, whether certified or not, are encouraged to complete the WSU Scholarship Application. This online application is available online in mid-fall and due January 31. Students must reapply every year to be considered for Murrow College Scholarships as well as additional WSU scholarships. Complete the FASFA (Free Application for Federal Student Aid) – see WSU Student Financial Services for more information. This application is not required for Murrow Scholarships; however, this information is used when we consider students for certain need-based scholarships.